I’m not a racer – I haven’t even done that many track days. 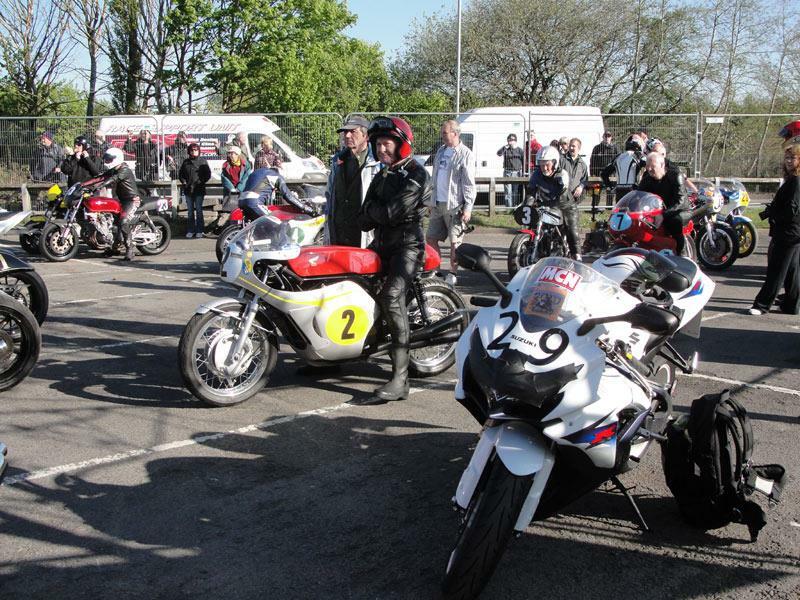 So it was surreal to end up in the start line queue behind the likes of Chris Walker, Danny Webb and Steve Parrish ready to compete in this year’s Thundersprint. Before the event I was getting mixed signals from other MCN staff, which didn't help the nerves. Deputy Editor Ped Baker basically told me I better take it steady. Road tester Adam Child told me to come back with a trophy or not at all. On the 2-up ride to Northwich the day before the Thundersprint, the weather was wet and horrendous but the GSX-R600 was surprisingly brilliant (although not especially comfy for the mrs on the back). The brakes are friendlier than I expected for a supersport machine. Plus the engine makes most of its power high in the rev range, so it doesn’t have tons of grunt low down to catch you out. Having said that, the motor is surprisingly flexible and it will easily pull from 30mph in 6th. Thankfully, on race day the sun was shining and the atmosphere was great. The charming thing about the Thundersprint is how relaxed and friendly the whole event is. The public have full access to the race paddock, stars walk around and mingle with the crowds and all the racers are just there to have fun and put on a good show. So when it was my turn to race and the red light finally went green, I wasn’t feeling any pressure and I was free to just enjoy the racing and the GSX-R. 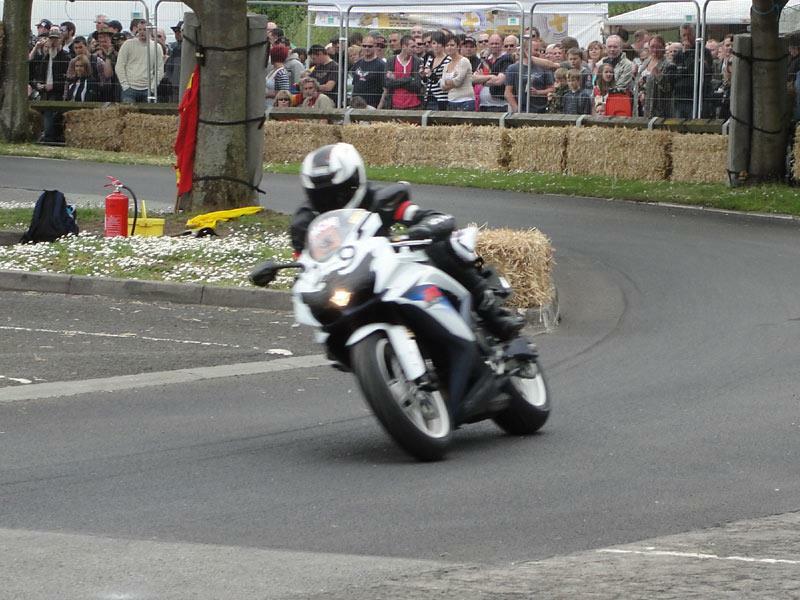 In the end I came 7th in my class with a fastest time of 25.06. It’s strange, but only when I saw the time sheets afterwards did I start to feel competitive - 0.8 seconds faster and I’d of finished 4th and ahead of Parrish! (please join me in pretending he was trying). 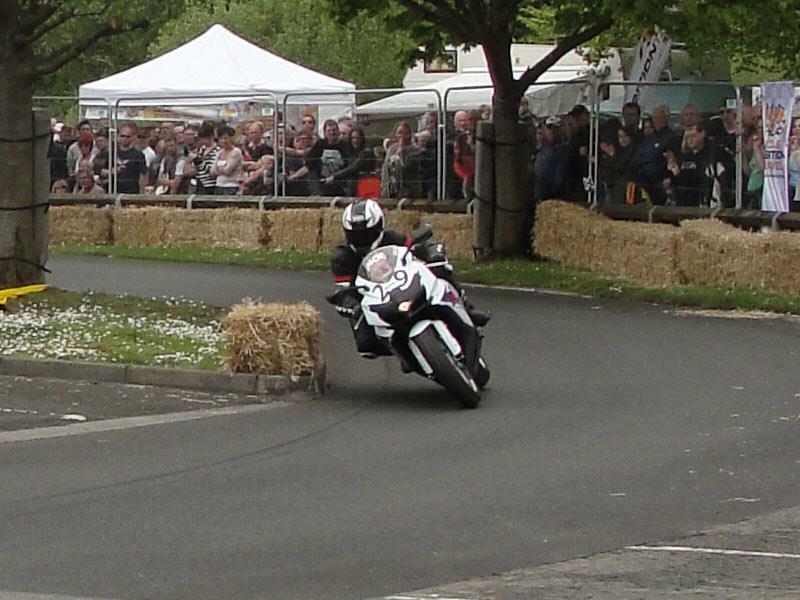 If I’d just got on the throttle earlier here, braked later there… ah well, there’s always next year. 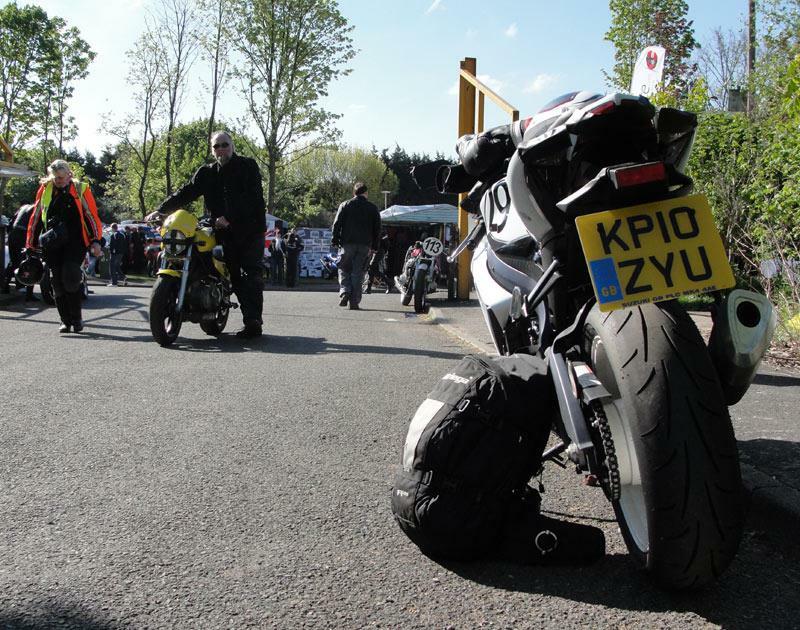 Staff bikes: Suzuki GSX-R600 - 160mph!